DTK Water offer detailed and accurate corrosion coupon analysis on many types and sizes of corrosion coupons. 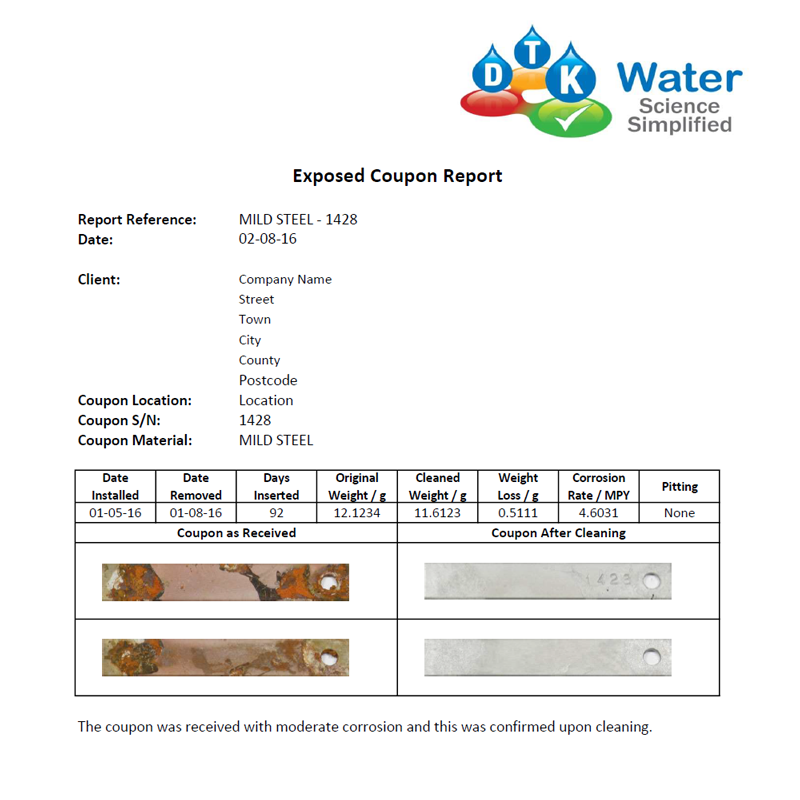 Our corrosion coupon analysis certificates detail corrosion rate in mpy, time exposed, location of coupon, coupon serial number, coupon material, original weight, cleaned weight, weight loss, pitting classification, and corrosion rate classification. Minimum of 2 corrosion coupons must be sent in at one time, coupons must be returned with original brown packet with date installed, removed and the original weight.